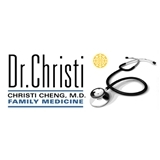 Christi Cheng MD (San Leandro) - Book Appointment Online! Dr. Christi does not accept Medi-Cal, and does not prescribe narcotics, including cough syrup with codeine. Pretty fast with annual exam. She asked detailed questions about your health. Overall, great experience for the first time..